Claptime is a piece produced for the 2008 Big Screens show at the IAC building’s 120 foot video wall. 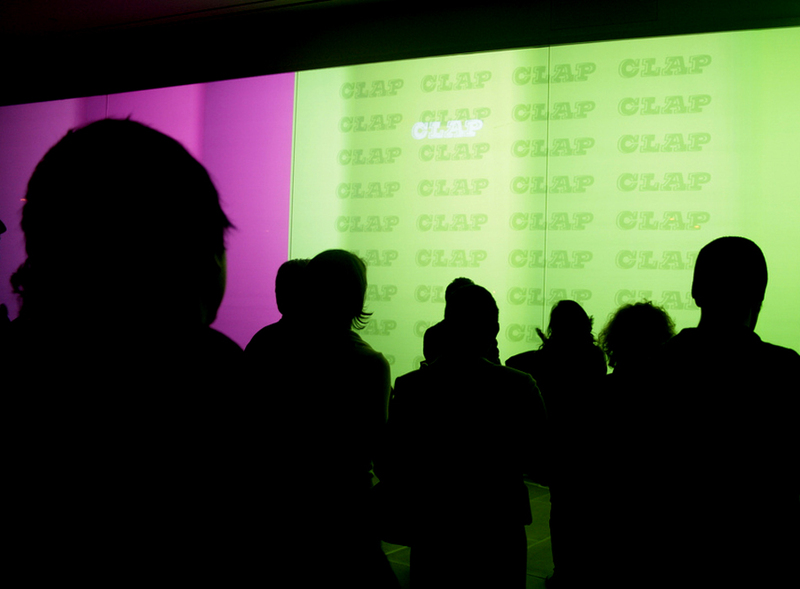 Claptime was designed as a system that leveraged the width of the wall to divide the audience into performative groups. Utilizing simple gestures and actions such as clapping, snapping, singing and jumping, Claptime directed the audience into performing a rhythmic arrangement. The sound was fantastic and it was a lot of fun to participate and create a big piece together. Claptime was built using Java, Processing, and the Most Pixels Ever library. Claptime was featured on Gizmodo.